Glow in the dark eggs – a science experiment for kids. Easily create a naked egg through a chemical reaction of dissolving an egg’s shell in vinegar. 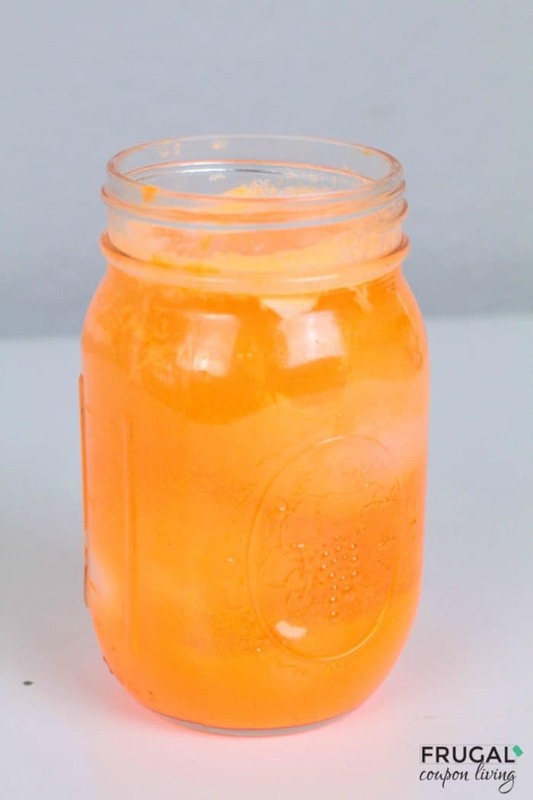 Make it glow with this added ingredient for extra creativity and fun! 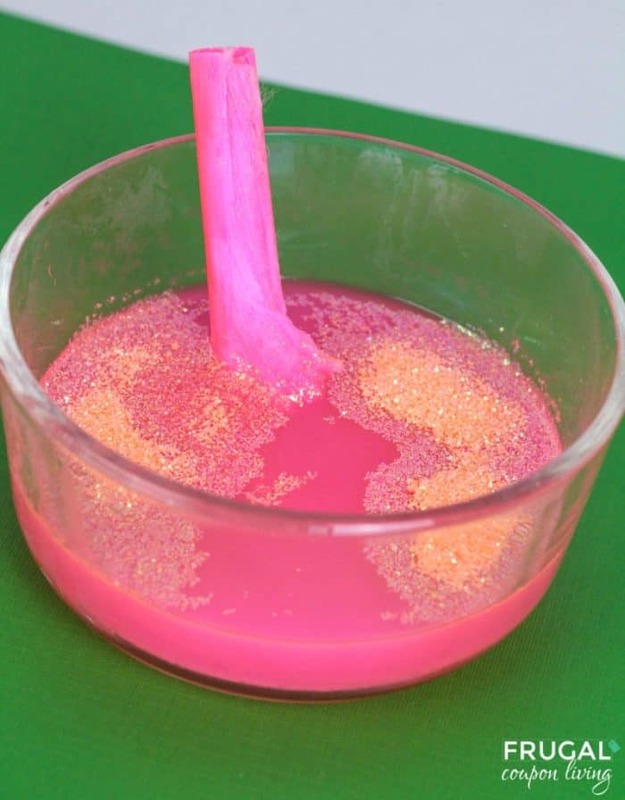 Did you love our 5 Minute Science Experiments for Kids? We wanted to come up with some more ideas for you to enjoy! At our house, we’re big science lovers. We love making fun science experiments with the kids that aren’t just the basic experiments, but that have a fun twist in some way. We found out that by using a highlighter marker as a dye, you can make the classic rubber egg science experiment glow in the dark! How does it work? The dye in the highlighter marker is highly reflective, so when you shine a black light or a flashlight on the egg, it glows in the dark! 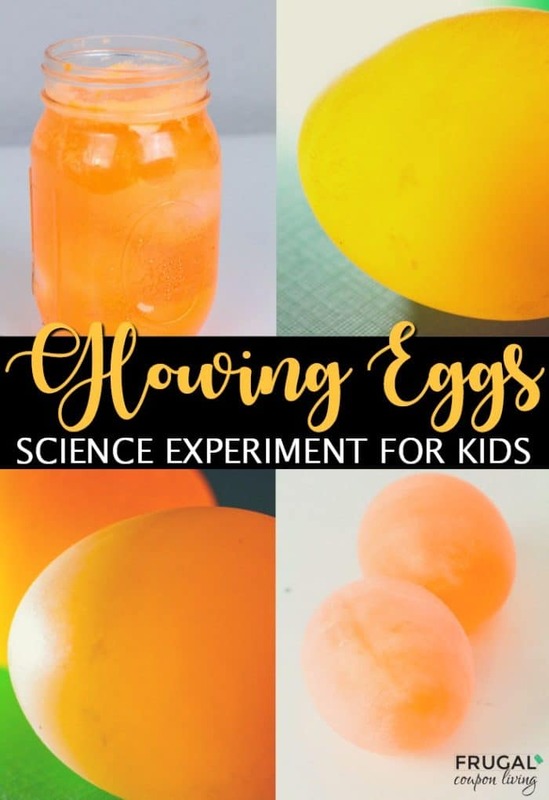 You can also use this experiment to teach kids about osmosis, chemical reactions, and why vinegar dissolves egg shells. If you don’t have a highlighter marker, you can also use the inside of a glow stick to make the eggs glow. Not many ingredients are needed in this science experiment. Many of these supplies are probably found in your own home! Extend this project! 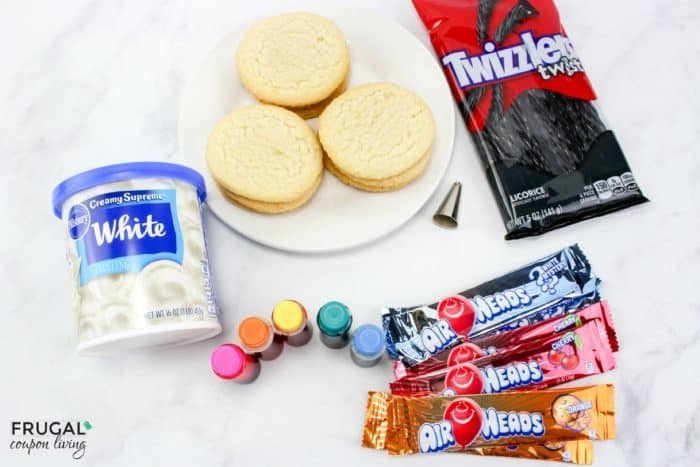 If you have all these ingredients, also try our Glow in the Dark Glowing Volcano Science Experiment! This process will take a few days but only take a few minutes to prep. First, fill a jar with vinegar and set aside. Cut open the highlighter marker and drop the ink pad into the vinegar. Make sure you squeeze the pad to remove all of the ink from the highlighter pad. Carefully place one or two eggs into the jar. Set the jar on the counter for about 3 days. Remove the eggs from the jar when bits of shell rise to the top of the jar. Rinse any remaining shell from the eggs. Next, dry off the eggs and take them into a dark room. This is the fun part! Shine a black light or flashlight on the eggs to watch them glow. The highlighter ink reacts with the light, making the egg glow! Once you’re done admiring the egg’s glow, you can pop the egg open to examine the parts of the egg. 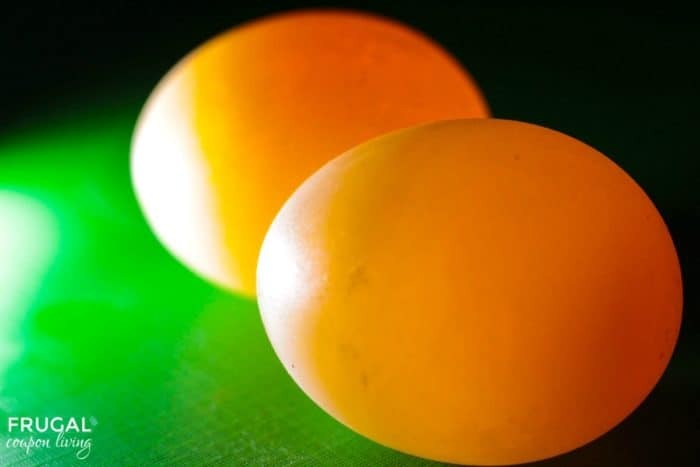 The squishy membrane, the egg white, and the egg yolk are all clearly visible when these eggs are popped, which makes it a fun lesson in themes including the construction of an egg, osmosis, and chemical reactions. A shell of an egg is made up of calcium carbonate. If you soak this egg shell in vinegar, you start a chemical reaction that dissolves the calcium carbonate shell releasing carbon dioxide gas. The egg insides remain intact and are held together by a membrane just inside the shell. 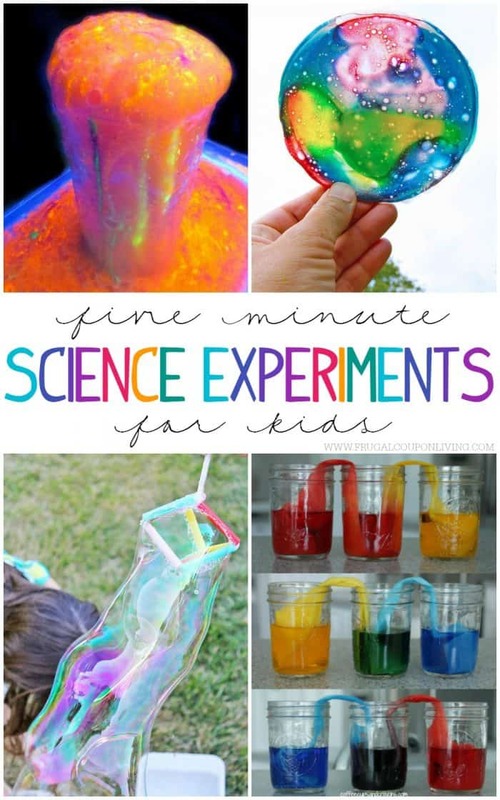 Also take a look at these 5 Minute Science Experiments for Kids. Pin to Pinterest. 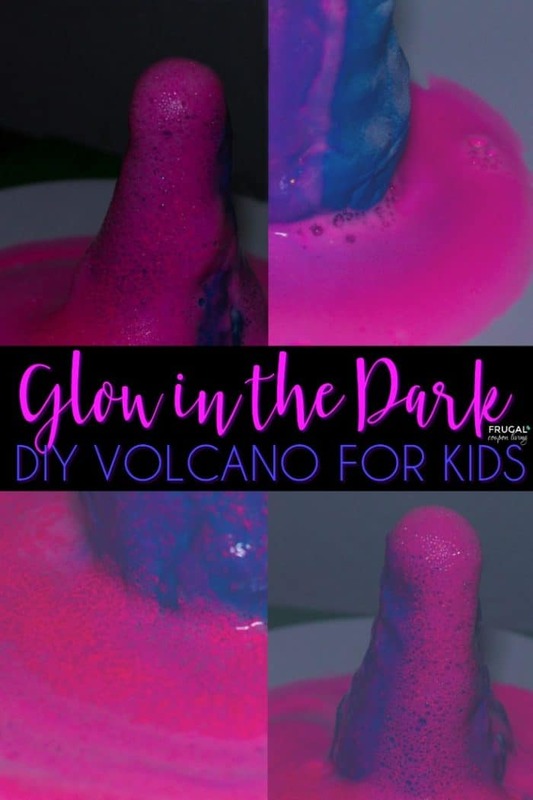 Take a look at this Glow in the Dark Volcano. This experiment uses many of the same ingredients. Pin to Pinterest. You will want to save these for spring and Easter! Have a fun Glow in the Dark Easter Egg Hunt. Pin to Pinterest. Check out the deals on Meijer Ad. Our Glowing Volcano Science Experiment is much easier than you think using common ingredients found in your household to create a chemical reaction with a product of carbon dioxide. You will never guess the lava ingredients! Kids love science experiments that wow or have some sort of unexpected twist. 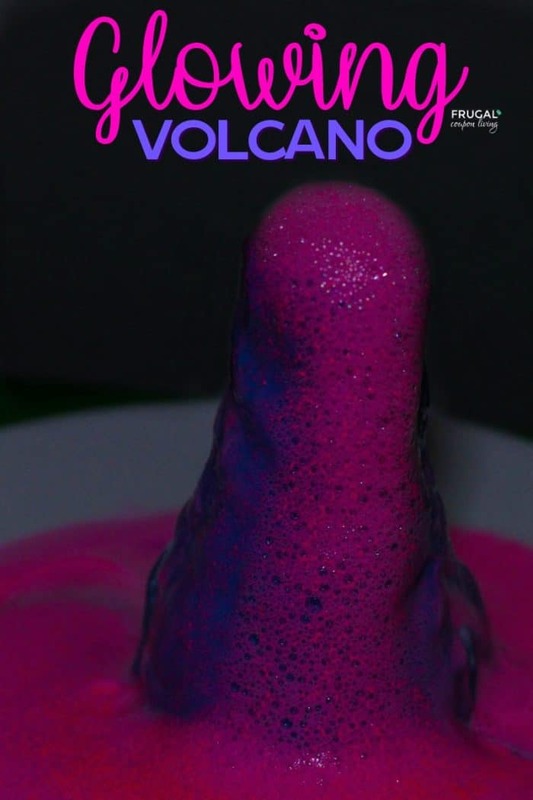 One of my kid’s favorite science experiments is this fun twist on the classic baking soda and vinegar volcano experiment – the glowing volcano! 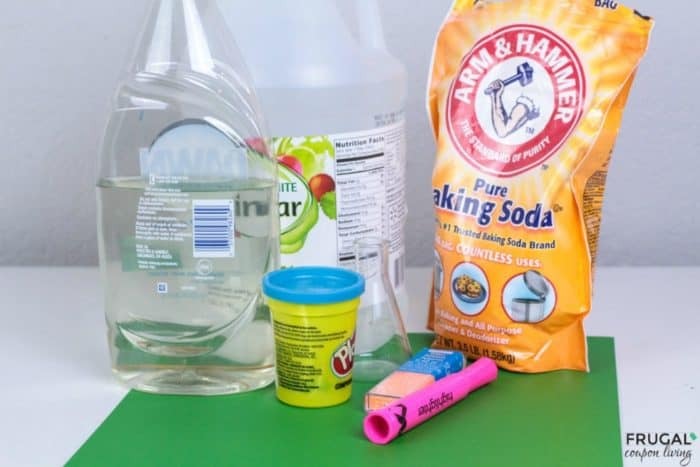 It’s super easy to put this five minute science experiment together, and you probably already have everything you need right at home, so no need to run to the store for last minute supplies. 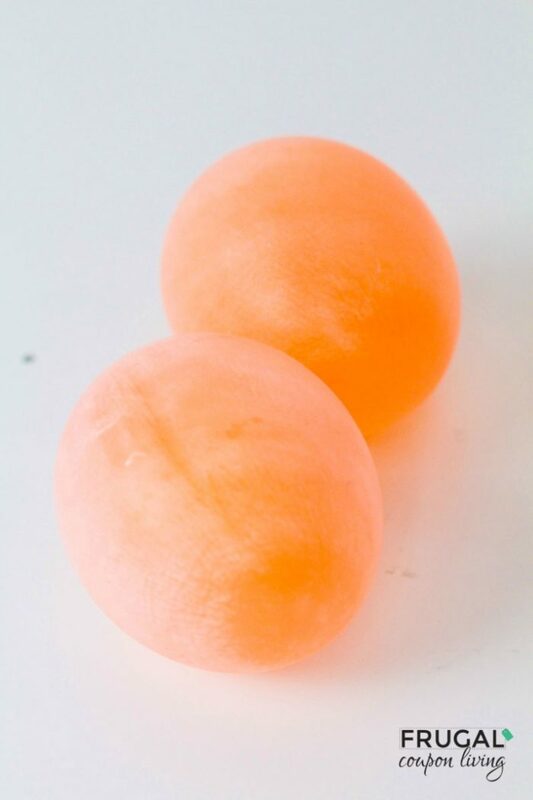 You would never guess the secret ingredient of our lava – a highlighter marker! I mean who would have known!? If you don’t have a highlighter marker, you can also use the inside of a glow stick to make this volcano glow. As I mentioned, you do need a few supplies but I bet you have everything at home already. If you do not have a highlighter, we used orange and pink, then you can use glow sticks – just carefully break them open. Nothing in this experiment is difficult but we do recommend adult supervision as you are working with ingredients that would not be good for ingestion. You will want a jar for your volcano base. Wrap the jar or bottle with playdough to make the shape of the volcano. The color of the playdough isn’t very important, though brown playdough is sort of fun for this activity! Make the base of the volcano wider than the top to make it look more like a volcano. Cut the highlighter marker open and remove the ink pad from inside. Cut the ink pad open. Pour about ½ a cup of vinegar into a small bowl or another jar. Place the highlighter ink pad into the jar and squeeze it to remove all of the dye. It’s not a bad idea to have gloves on during this process. Add a few drops of dish soap to the vinegar. Add some glitter to the jar and stir. You can see what our bowl of lava ingredients looks like below. View the latest deals on Winn Dixie Ad. Pour a small amount of the vinegar liquid into the volcano jar. This is a good time to dim the lights or move the volcano to a dark room. The closest isn’t a bad place. Turn on your black light or flashlight. A black light is best but either will do. Scoop a small amount of baking soda and add it to the volcano to make it react. Watch it glow! Did you know? Once you’re done oohing and awing over the glowing volcano, talk a little about the reaction making the volcano erupt. The reaction between the vinegar (dilute acetic acid) and baking soda (sodium bicarbonate) generates carbon dioxide gas. It’s the carbon dioxide releasing from the chemical reaction that causes the volcano to fizz, and when you add dish soap, the bubbles stick around just a bit longer! 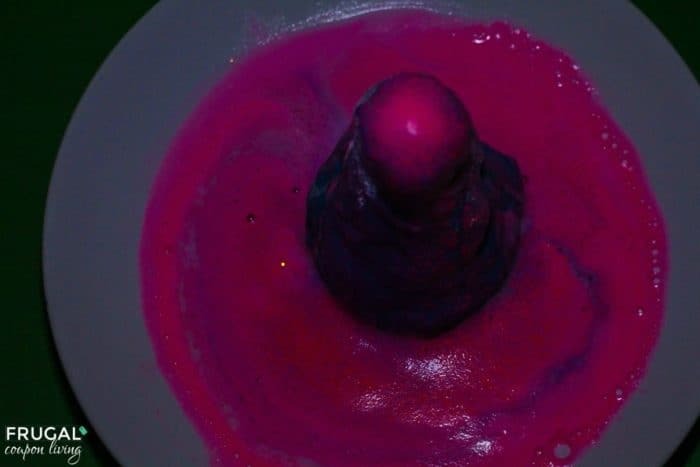 The ingredients from the highlighter marker react with the light, causing the volcano to glow. 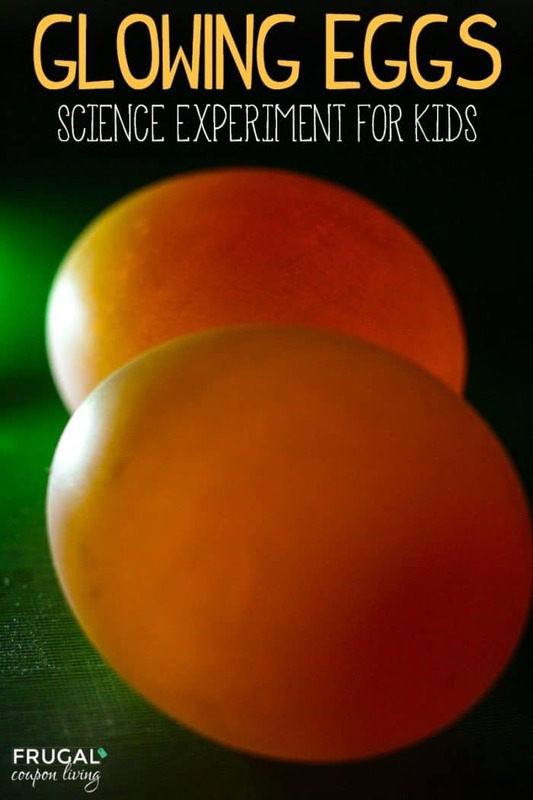 Make glow in the dark eggs with this easy science experiment with the kids! Pin to Pinterest. 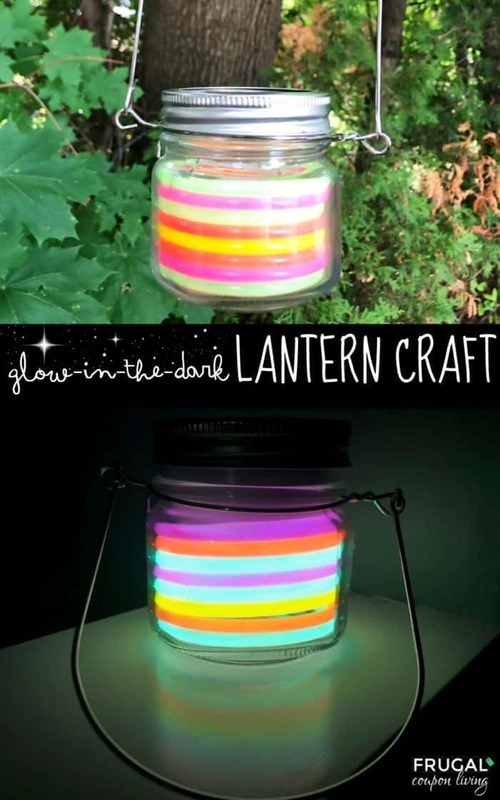 Take the fun outdoors with this Glow in the Dark Rainbow Lantern Craft. Pin to Pinterest. Are your kids going back to school soon? Or, are you just looking around to score the best prices on school supplies for when your kids do go back? 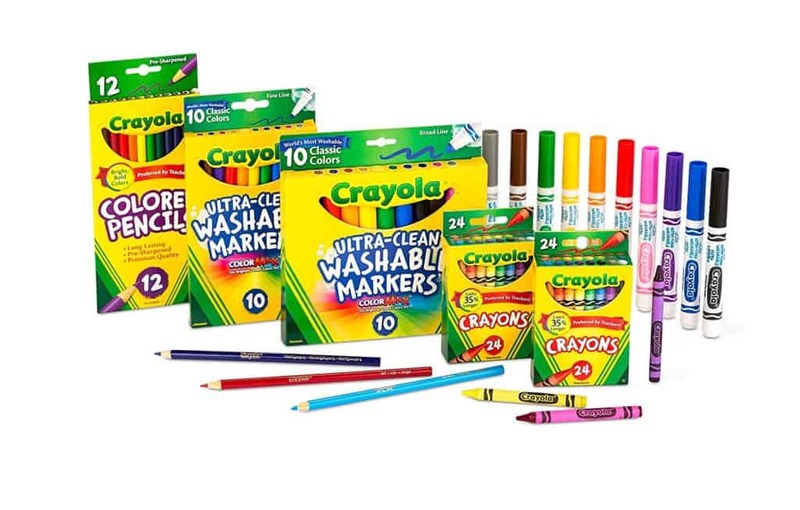 Today, you can get Crayola products on sale for back to school! Are you looking for a big pack of crayons for your kids? 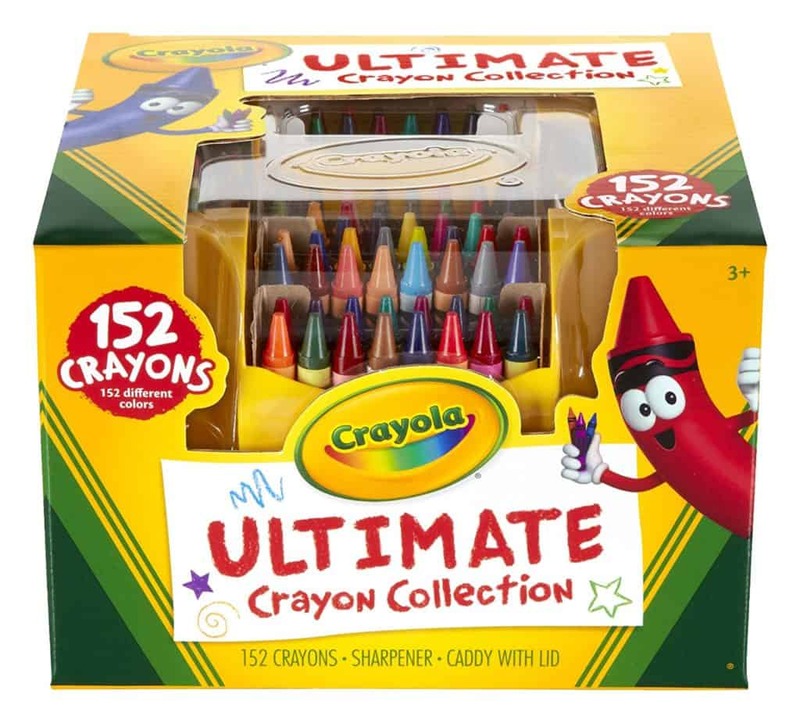 This Crayola Ultimate Crayon Collection with 152 colors is on sale for $6.41 (reg. $15). Do you need several different Crayola products for your kids? 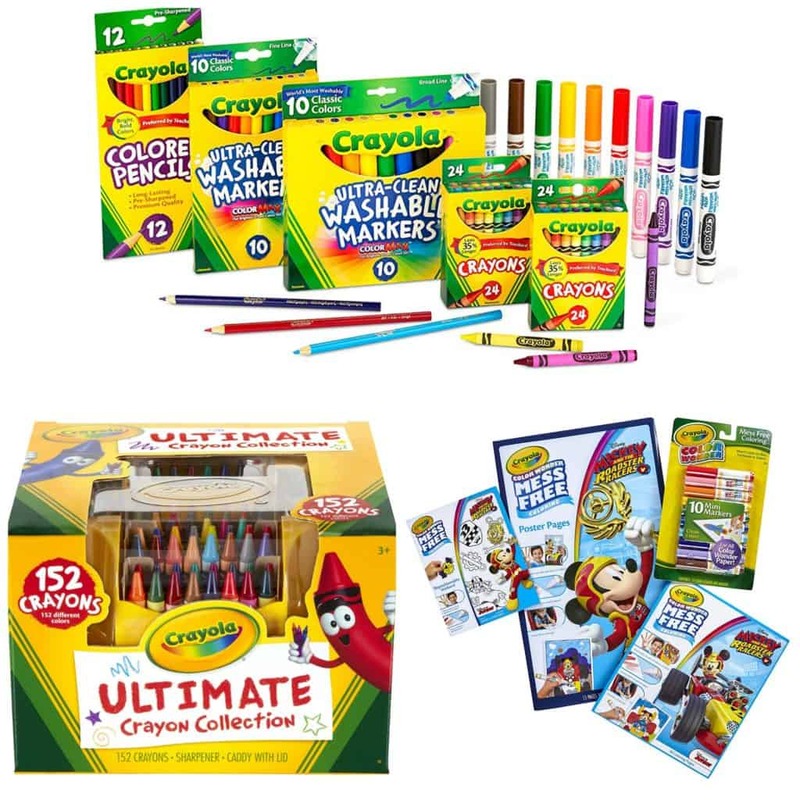 Get everything they need in this Crayola Core Pack for Back to School for grades K-2. Grab this for $7.50 (reg. $15). 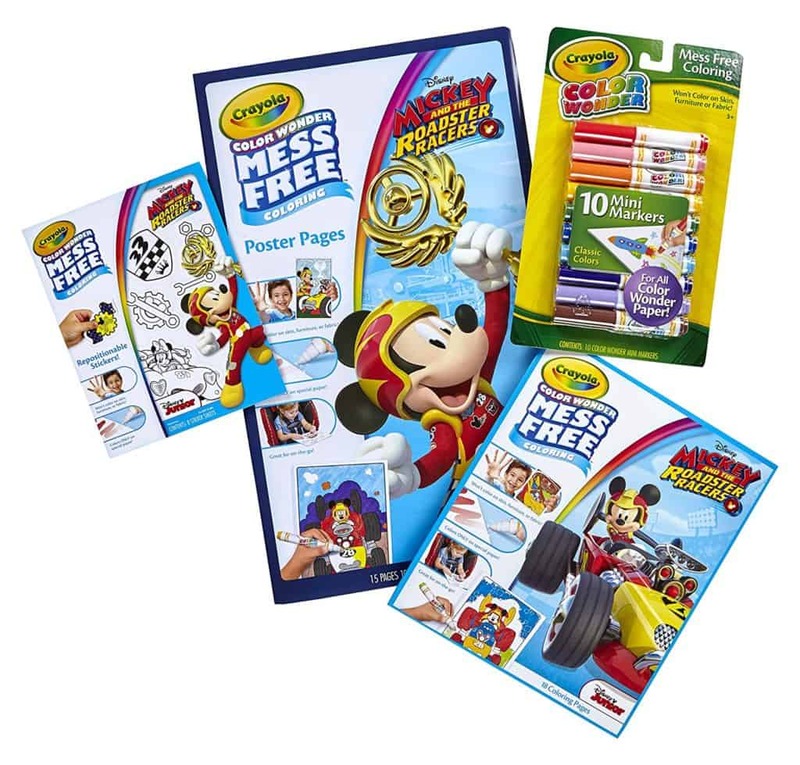 And, if your kids love to color in Color Wonder books, you can stock up on fun Mickey Mouse coloring pages with this Crayola Color Wonder Mess Free Mickey Mouse Bundle. This is on sale for $7.28 (reg. $18.54). 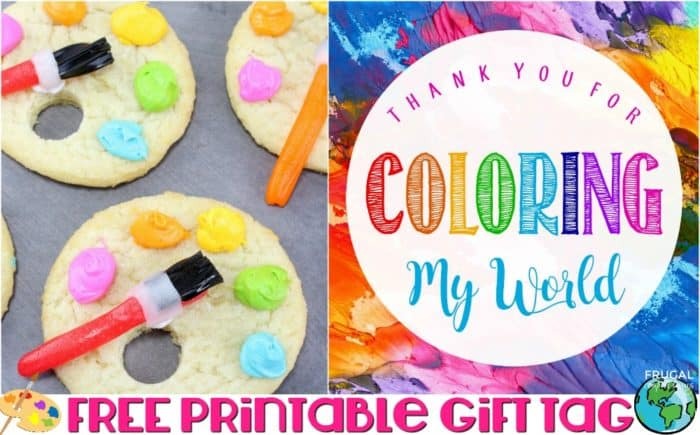 Adorable Artist Paint Palette Cookies with free printable gift tag – Thank you for coloring my world! Sweet treat idea and thank you for a teacher or use as a birthday party favor. So many ideas for your little artist! 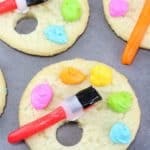 We have the cutest, most easiest cookies for your little artist! First, this recipe requires no baking, just pick up sugar cookies at your local grocery store. Of course if you want a yummy sugar cookie recipe, we have one of those too! You will need some black Licorice Twizzlers Twists. If you have trouble finding those, we found some online. This will make the bristle of the brush and Air Heads will make your paint brush stick. We also put together a sweet “thank you for coloring my world” gift tag. This free printable makes a sweet end of the year gift for a teacher or perhaps use as a birthday party favor for an artist paint birthday party! 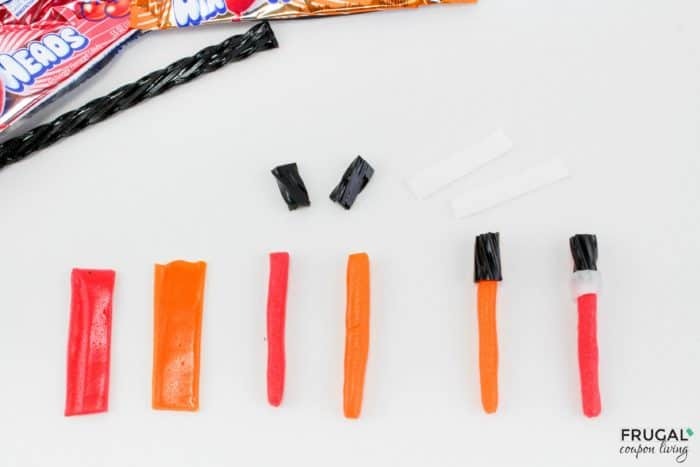 Take each orange and cherry Airheads candy and cut them in half. Cut each of the halves in half lengthwise so you now have 4 pieces of each flavor. Roll each piece into a paintbrush shape. Cut ½” pieces of the black licorice. Slice each one open so it isn’t a tube shape. Lay each piece out and cut them each in half. Lay one piece of licorice over the end of each paintbrush. Cut small thin rectangular pieces of the white Airheads candy. Wrap one of these around the seam where the licorice is laying on the paintbrush. Make sure you wrap them tight, so the paintbrush and licorice bristles don’t come apart. Divide the frosting into 5 small bowls and color each frosting bowl a different color. 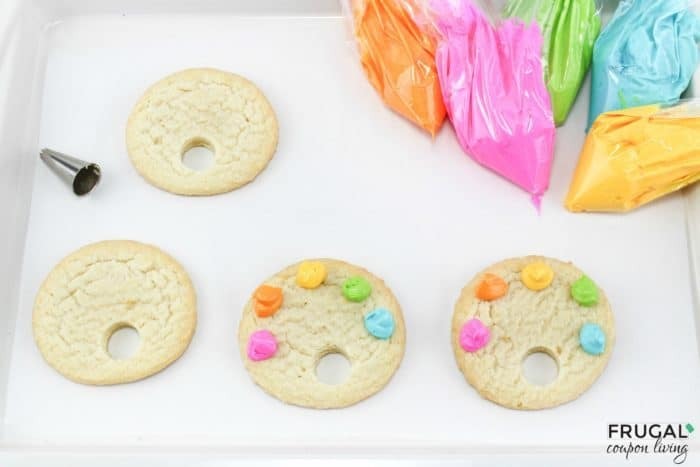 You can put each color frosting into a small plastic bag for piping if you choose to, or just use a knife to dollop. Cut out a small hole in the bottom half of each cookie so it looks like the hole on a paint board palette. Pipe a dot of each color frosting along the top half edge of each cookie. 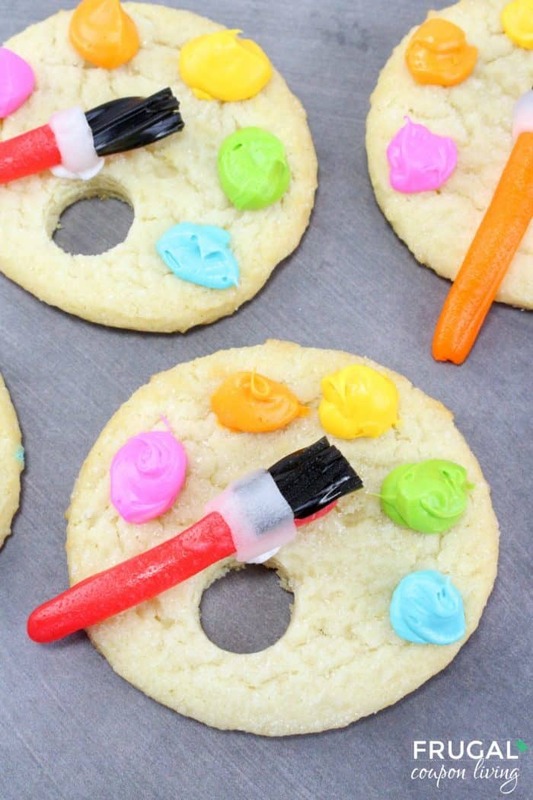 Use a dot of frosting to attach a paintbrush on top each cookie. These little paint palettes are cute and easy to make for any party! Gifting something to a teacher? 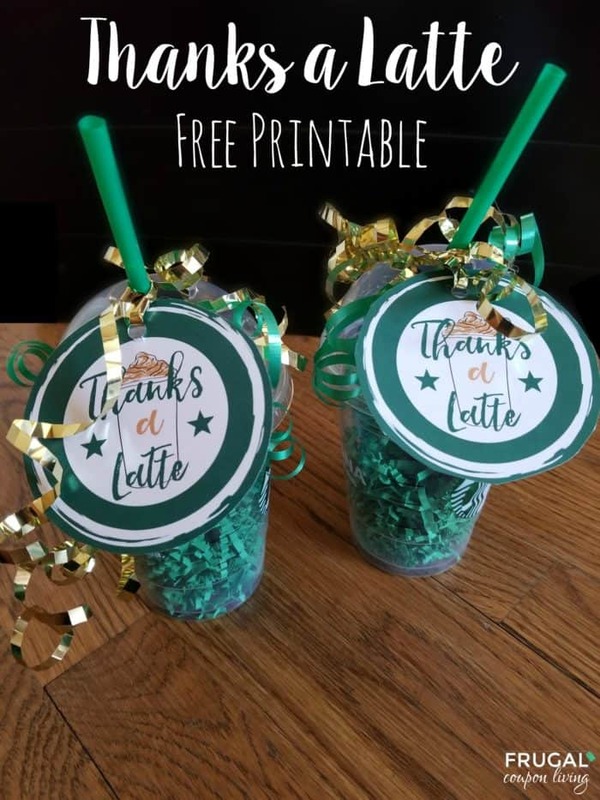 Take a look at this Thanks a Latte Printable Gift Tag. Pin to Pinterest. Looking to craft? 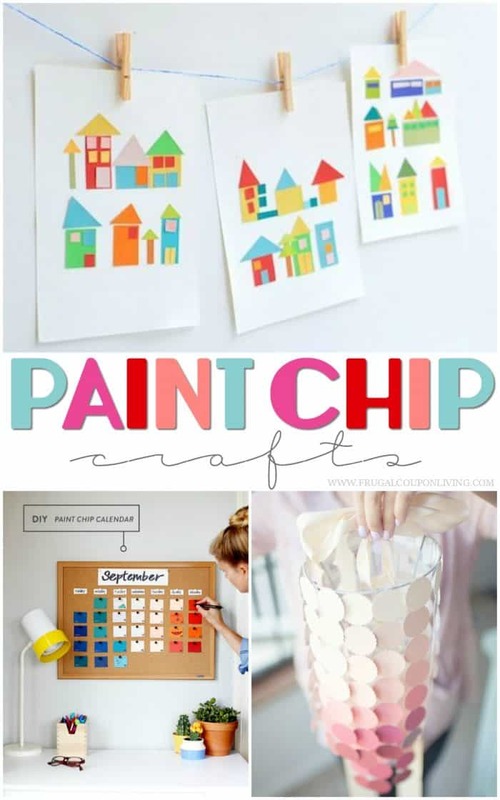 We love these Paint Chip Crafts. Pin to Pinterest. Also take a look at these Family Game Night Snack Ideas. Pin to Pinterest. Get more details on Tax FREE Weekends 2017 HERE. Be sure to follow the Back to School Deals when picking up your back to school clothes and needs. Send your kiddos back to school in style with these fun tees. Grab these Back to School Tees for $11.99, down from $20. I love the sunglasses on these tees. They make them so cool! These tees are available for Pre-K through 5th grade, and there are several colors available so your kiddo is bound to find his or her favorite. And, these are great for wearing any time you’re out and about. My daughter has to wear uniforms to school, but I’m grabbing one of these for her to wear when she’s home. 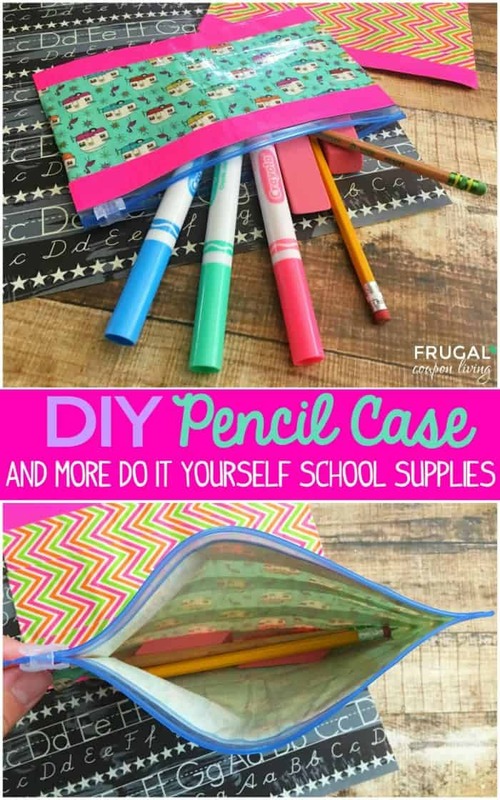 Not too long ago we shared with you some DIY Back to School Crafts and Supplies for Kids. 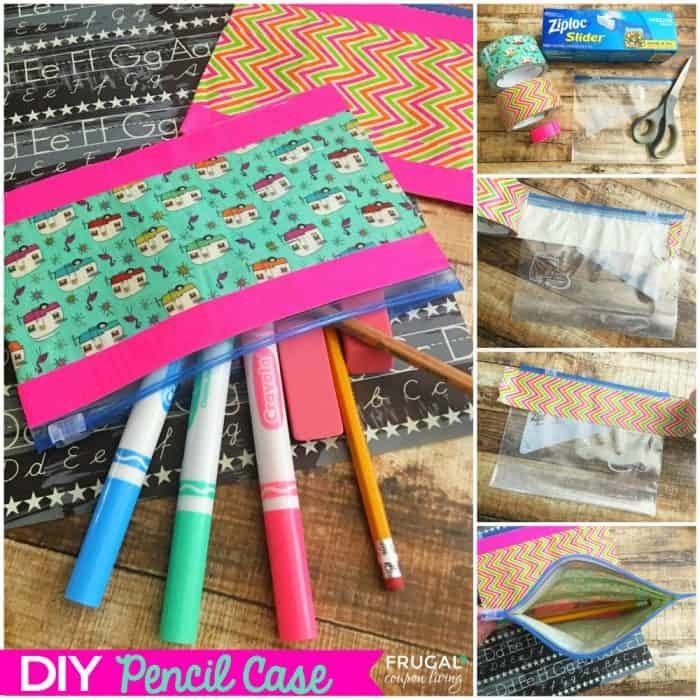 In our effort to keep our own school supply expenses down, we had fun with this DIY Pencil Case made with Ziploc Bags and Duct Tape. It is so easy, bright, fun, and also durable – no replacing this school supply mid-year, and if you must, it’s a cheap replacement! Use your standard size Duct Tape to tape a row across the top of your ziplock bag right under the blue plastic top. Turn your bag over and wrap both sides over to cover both sides of the plastic bag. Repeats steps 1 and 2 with your second row of tape. Cut off the bottom part of the plastic bag. Repeat steps 1 and 2 with your third row of tape. Cut about 1/2″ of tape off the bottom of the bag, making sure to leave a little extra off the tape to stick together to hold the bag together. Use your mini Duct Tape rolls to add a little color to the top and bottom edges creating a contrasting border. 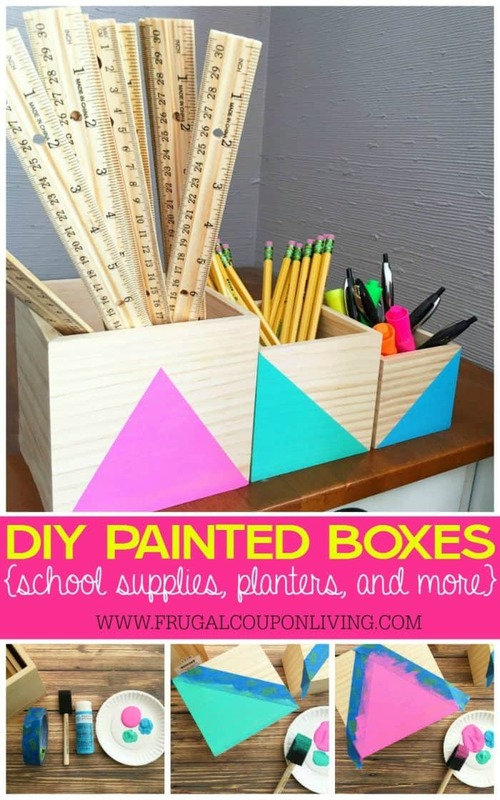 Also make these DIY Painted Boxes for School Supplies. Pin to Pinterest. Also enjoy our Kids DIY Back to School Crafts and Supplies. Pin to Pinterest. Oh my goodness, these Personalized Kid’s Pencil Bags are too cute! Get these pencil bags for your kids to take to school for $9.50, down from $17. There are so many patterns and designs that I love. I like the polka dots (I always favor polka dots), and the Leopard Bird Print is adorable. There are also cute super heroes for boys and girls, dinosaurs, mermaids, musical instruments and ballet slippers, among many other designs. There are so many to choose from!